I remember creating Austin’s and my first budget. It was just before our wedding. We were looking at renting an apartment and I was trying to figure out if we could afford it. Austin had just started a temp job in a warehouse and I didn’t have a job. To say that money was tight in the first year of our marriage feels like a drastic understatement. I sat at my computer switching numbers around trying to make things work. It was so hard and confusing! I had no clue how much money we should budget for food and gas for our car. I didn’t know if the apartment we were looking at was something that we could afford based on our income. A lot of advice out there on how to create your first budget says to either (1) look back at your bank statement for the past month to figure out what you spent or (2) track your spending over the next month so that you know what you are spending in each budget category. Look back at your bank statement for the past month to figure out what you spent: We weren’t married yet and we didn’t have an apartment yet, so our past spending was no indication of what our future spending would be. You might also have a problem with this method if you spend a lot of cash and don’t have a way to track what that money was spent on. Track your spending over the next month so that you know what you are spending in each budget category: We didn’t have a month to see what happened. I knew that our money was going to be so tight that there was no room for error. If we didn’t figure out our budget right away, we would be in financial trouble. Below is the method that I used to create our first budget. 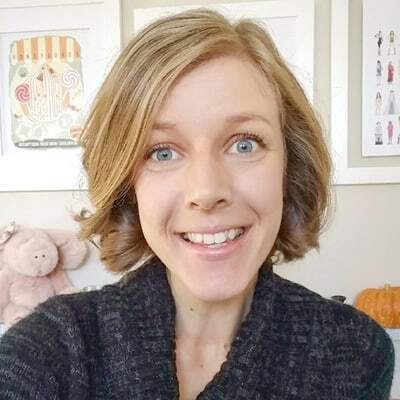 It ended up being a great way to get started and was a fast way to jump into budgeting. You need to know how much money you have to work with for your budget. That’s why figuring out your income is step number one. The easiest way to determine your income is to look back at your paycheck stubs to see how much money you make after taxes and other paycheck deductions (health insurance, 401(k), child support…). 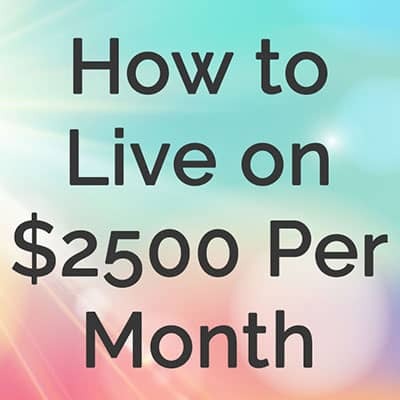 If you have an irregular income that varies month to month throughout the year, try to look back over a few months and come up with a low average. If you’re starting a new job, you should be able to estimate your income based on an hourly rate and how many hours you’ve been told you’ll be working or a salary. Don’t forget to try to estimate your taxes so you know about home much you’ll be taking home. If you’re estimating income for a new job or an irregular income, it’s best to be very conservative with your estimate. A lot of people base things on what should ideally happen, but let’s face it, life happens. Things never go completely to plan. If you estimate a low income and end up making more than expected, that’s great! If you overestimate, then you’re putting yourself at risk for problems to happen. Once you know what your monthly “take home” is (your paycheck after taxes and other paycheck deductions), write that number at the top of your page. Some bills stay the same every month. Look up your statements and write down all of your regular bills below your monthly income. Utilities: Sometimes you can put your utilities on a plan that averages them out for the year so that your payment always stays the same. 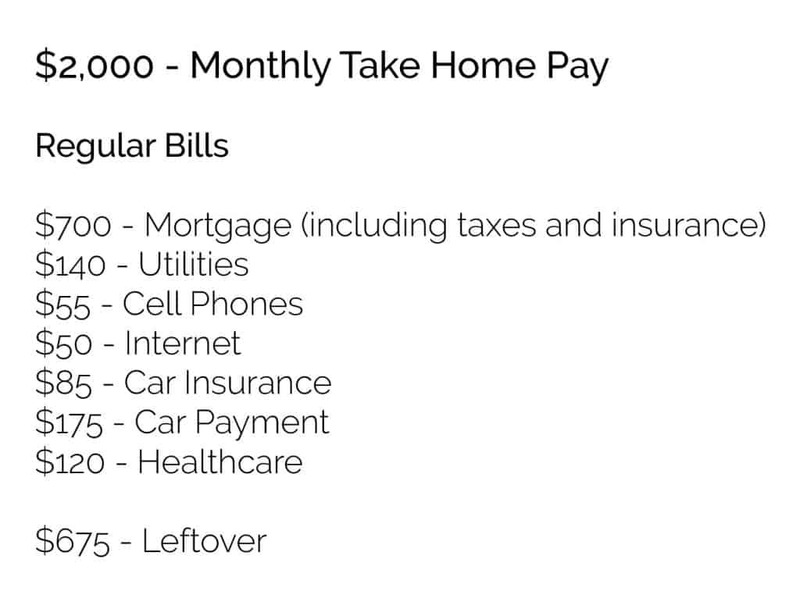 After you’ve written down all of your regular bills, add them up and subtract that amount from your monthly income. The amount that you have left is what you have to work with for variable expenses. This is where things can really get confusing. How much do I spend on groceries? Am I going out to eat too much? Do I have money to buy new clothes? 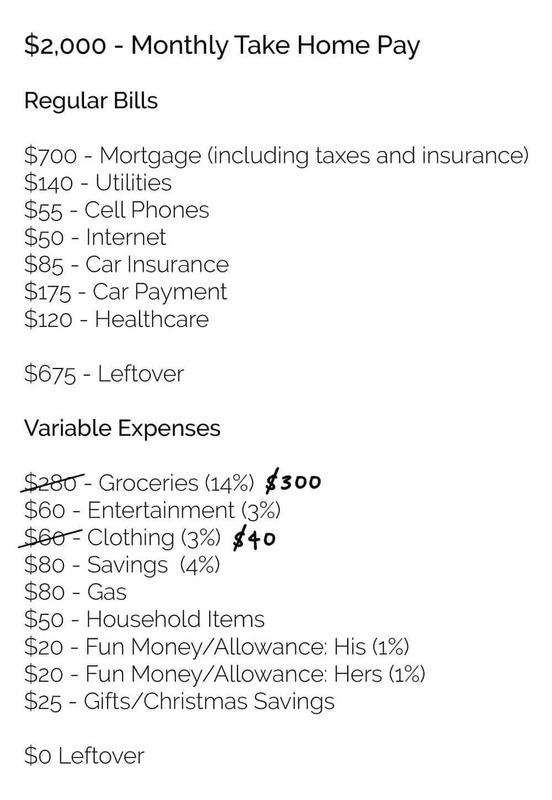 When I made our first budget, I had no idea where to start with “variable expenses”, which are expenses that you have control over. If you can’t look back at previous spending and you can’t wait a month to see what your spending is, the best things to do is find some percentages to work with to help you get started. Crown is one of my favorite resources for figuring out budget percentages. They have “Family Guides” that will help you estimate expenses based on your income and the size of your family. Example: If I bring home $2,000 per month, I could estimate that I will spend $200-300 on food per month (10-15%). 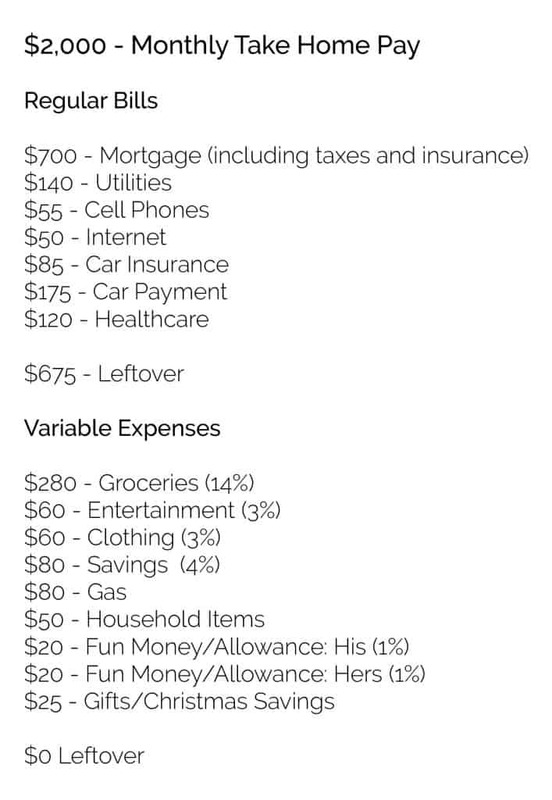 That’s just a “jumping off point” to give you an idea of what you should be spending. You might spend more or less. We hardly spend anything on clothing, so I don’t budget 4-6%, but we usually spend a little extra on Entertainment. Once you have some percentages to work with as a guide, you can tweak things from there to decide how you will budget the rest of your income. If you subtract your variable expenses from what you had leftover after your regular bills, you should end up with zero. This means that all of your money has been allocated to different categories. Just do the best you can! This is just a starting point. Now that you have a budget made up, you can start using it! You’ll want to track your spending throughout the month. There are many spending tracker apps that you can use or you can go with pen and paper. The key is to write down or track every dollar that you spend and keep track of what budget category that money goes to. I have a spreadsheet that I use to create our budget and track our spending throughout the month. You can get access to my spreadsheet to customize it for yourself by entering your email below. Since this is your first budget, you probably didn’t estimate some of your expenses quite right. Maybe you budgeted $200 for groceries and you’ve already spent all of that when you’re only halfway through the month. This can be a real eye opener for where you’re spending your money! Throughout the month, you can make little adjustments. If you’re spending more on groceries, then you need to subtract that money from somewhere else, like clothing or entertainment. Now that you’re tracking your spending, you’ll be able to create a much more accurate budget for next month. All of the estimates from step three are just a way to get you started budgeting quickly. Since you are unique and have different priorities for your money, your spending and budget won’t look exactly like someone else’s. You can do this! 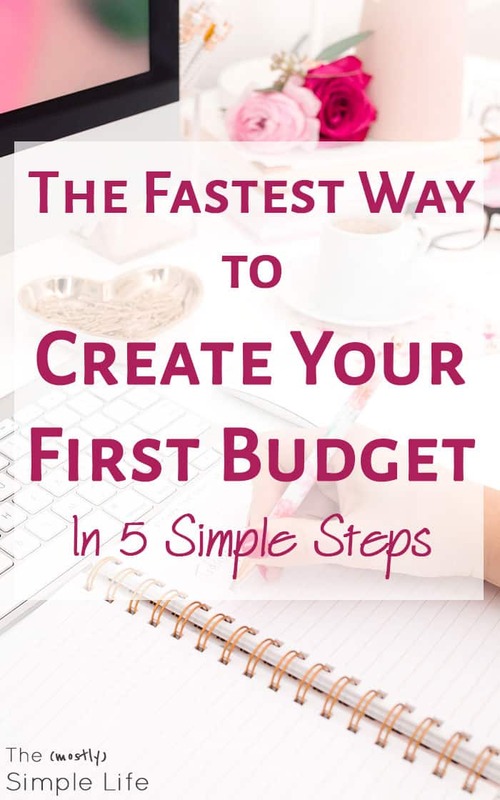 If you’ve never created a budget before or your life has changed and you don’t know where to start, follow the steps in this guide to help you quickly create your first budget. Our first budget wasn’t perfect. It took me a few months of budgeting to get it figured out, but getting started and working at budgeting will get you much further financially than not trying at all. 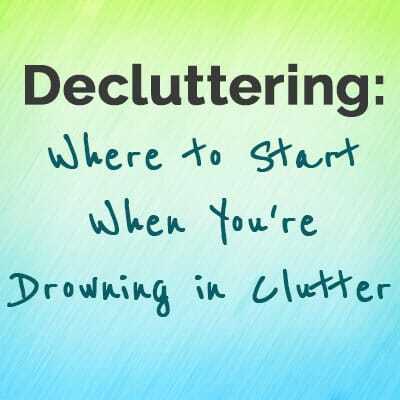 ⇒ What are your frustrations when you try to budget? What methods have you used to track your spending? I need to get back to writing my budget on paper. I know in my head how much money I have, but that only works for so long. I have some new goals that I want to work towards, and getting tight on my budget is going to be necessary to achieve them. One thing that frustrates me is my grocery bill. We like to eat healthier meals, so that comes with a bigger price tag due to buying a lot of fresh fruits and vegetables. Sometimes I can get away with buying the frozen, but more often than not, I buy fresh. I do buy in bulk what I can, but my bill is still really high. We’ve been trying to tighten our budget too. Winter is the worst for buying fresh fruits and veggies. Now that it’s spring there will be more sales. I try to stick to what is a good sale and is in season. We’ve been trying to eat healthier. We’re eating less meat, which has helped even things out with buying more fruits and veggies. We may have a lot of options in making our financial and funds management work, but it will only be you who will determine all these plans become a success. Act on it, make it a habit, and be aware of your spending, at all times. Always create your first budget.